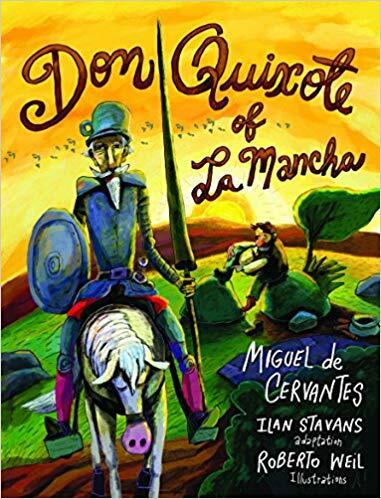 In this graphic adaptation of the 17th century Spanish masterpiece—considered by many to be the first modern novel—cultural commentator Ilan Stavans and illustrator Roberto Weil reimagine Cervantes’s tale in ways that are both faithful and irreverent. If you’ve ever wondered what Don Quixote would say if he saw Man of La Mancha on Broadway, this is the book for you ... Roberto Weil’s delightfully bonkers illustrations heighten the sense of instability; he has a habit of stretching speech bubbles across multiple panels, making a tangle of their chronology. The novel’s greatness, Mr. Stavans suggests, flows from the infinite readings and misreadings it inspires. Weil is an ideal accomplice; his emotive artistry verges close to colorful caricature, and his text bubbles break panel boundaries as if he knows the script is too large to ever be contained. Stavans notes the simultaneous availability of a 'Spanglish' edition. Undoubtedly, this is not your lit professor’s classic. Purists need not open, but readers in search of a good guffaw can expect rollicking fun times. 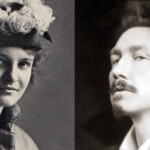 Writer Stavans...and artist Weil craft a sloppy but sincere love letter to the first modern novel. Freely adapting the highlights of Miguel de Cervantes’ classic about the would-be knight, while weaving in contemporary references, they succeed in bringing to life the spirit of the original’s mix of absurdity, serious-minded morality, and its thesis that ideas are often more important than reality ... Weil’s background as a caricaturist results in a cavalcade of humorous, distorted, and expressionistic figures that match the breezy and constantly shifting narrative. However, poor word balloon placement and other technical errors detract from the reading experience. Due to its production flaws, this ambitious jigsaw puzzle of a book doesn’t quite succeed, despite the joy found in the creator’s knowledge of and enthusiasm for de Cervantes’s masterpiece. What did you think of Don Quixote of La Mancha?